Dina Kowal Creative: Pugs and a million hits! Pugs and a million hits! 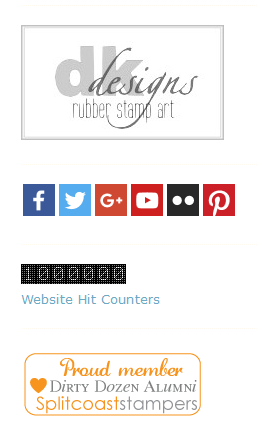 Over the weekend I hit a milestone on my blog - my hit counter rolled over 1,000,000! I was so excited when the hit counter got close that I posted a giveaway to Facebook to whoever made the numbers tip. And then... of course... I was checking to see if we were there yet... and... I was the one who made it tip. Which was exciting... but... I didn't get to send any happy mail out! So... let's have a quick drawing here just for fun! Leave a comment on this post letting me know 1) something you've learned here, 2) a product you'd like to see me review, or 3) a stamp or set you'd like to see me design. I'll draw a name Wednesday (Jan. 20) at midnight eastern time, and announce the winner Thursday the 21st. Winner will get a package of goodies from my stash. Just for fun, one of my show samples from the new release at CHA - some of you requested that this little pugger be made into a stamp when I drew it a few months ago, so I hope you'll take a peek! The pug is HERE, and I paired it with a punny sentiment that you can find HERE. My sample was colored with Touch Twin Markers. I am having the hardest time getting back into a routine after my weekend at CHA - I'm exhausted. I drew a lot over the weekend - trying to get a good grouping of stamps and sets together for the summer release deadline in a couple of weeks. I love this card, Dina. I've learned so much from you here... I've learned to color with the peerless watercolors. I've learned that despite having a lot of medical battles, you are one of the kindest, most talented women I've ever met. I don't have suggestions for specific things to review or stamps to design, but I can guarantee I will be here watching, reading, learning, and smiling. You make my heart happy. one of my all time favorites is your lighthouse stamp (ODBD)... a frequent go-to for masculine cards, cards for travel enthusiasts, and perfect for certain scriptures. My favorite CASE of one of your cards is the one using the IO heart shaped flower die with vellum behind it, colored to look like stained glass... I made it as a very special wedding card for a good friend to send to her niece whose wedding she was unable to attend. Your work is my favorite source of inspiration and your tutorials and instructions keep me in a learning mode which I thoroughly enjoy. Thank you so much for your willingness to share your talents, designs, and experiences with us! wow---congrats!!! what a milestone!! I am still a newbie to mixed media, but am slowly getting the hang of it...lol.. your tutorial, with the water techniques, helped me tremendously---so easy to understand! lol..congrats again! I'd love to see you design a set with hedgehogs! I'm the proud owner of a hedgehog named Henry and am crazy about hedgehog-related items! Hi Dina. Your pug is super cute as is your card! Thanks for the chance to share this and the chance to win. Hi Dina!! Congratulations on one million visits! Hope you get some rest soon. I would love to see you do a review on Tim Holtz's Distress Crayons (as I'm sure they were among some of the hottest CHA items). :) I also enjoyed your watercoloring tutorial via SCS awhile back - really helped me understand the technique a bit better. Hi Dina.. I love that you share your Inspiration with all of us and I get so excited when I see you in my email! I enjoy all of your wonderful creations, your tutorials on SCS and all of the product shares you do which either guide me in making some of my purchases or juse take the guess work out of which products I have that will work better with others.. there is always so much to absorb and I loveloveLOVE the time I spend here! I have to say that Pug stamp is A-dorable.. my nephew has 2 pugs, Hank who's black (is older) & Otto (a puppy) who's brown ... OMGosh they are too cute and just make me smile so I'm excited about a stamp coming soon! You are such a creative force on the Web and I for one am glad that I found you! Congrats on the million hits it's certainly well deserved! 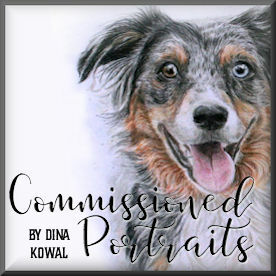 Dina I love your blog and the inspiration I get from it. I really enjoy your watercoloring and am always amazed at how your art turns out. You are truly amazing! Congratulations on your Million hits, Dina! I wondered when this would happen! And, I wondered who would hit it for you! Funny that it was you! I so enjoy your tutorials, too. 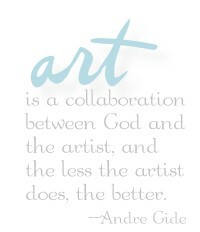 I especially love your watercolor and mixed media tutuorials. I'm not experienced with mixed media AT ALL, but I enjoy learning how to encorporate them onto cards. I think I've shared this already, but you are QUITE an artist. What a tremendous gift from the Lord! Congratulations again! WOW! Congrats!YOu are so talented-I'm glad for the others who have found you!! I can't wait to see the Tim Holtz crayons!!!! Wow. Where do I start? How about pencils. I learned all about brands of colored pencils and how to use them. I learned tons about lighting and shading to bring an image to light. I learned what in the world mixed media is and products to use, though I still need to refer to you tutorials if I decide to play around with gesso and the like. I also learned about stamping for me and not trying to stamp for everyone else. It is ok that something may not be the latest trend. I love your use of the browns and other earthy shades. Thank you so much for all that you share from your heart. And I LOVE the pugs and kisses sentiment!!!!!! I have been wanting that forever! Was just thinking about it again yesterday when I was making Valentines. A huge congrats on your hitting 1,000,000! And last but not least, I continue to keep you all in my prayers. Praying that you are blessed beyond measure this year!!! Wow, you're good. Such talent. He's so darn cute. I'd love to see a zentangle owl, or perhaps another image zentangled. I said owls because I'm crazy for owls. I have learned so much from you! Your work is "infectious". I tell everyone about your print "held". You simplified mixed media for me and always go back to you pencil class. Congratulations on your hits!! I've recently received a set of Brushos and would like to learn more about how to use them. I love your artistic cards, Dina!! Congrats, Dina!!!! That pug makes me smile! You made me want to try mixed media. You have amazing talent! I'd love to see "Held" made into a stamp. The HELD stamp is coming in January 2017! Stay tuned! I'm from Canada and I'm guessing you're not shipping your goodies outside the US so I won't go ahead and answer the questions....but I will say that I'm a Follower and I really enjoy your work and your reviews (even though I don't comment much). Again, congrats! WoW! 1,000,000! Hard to imagine, but I've contributed to a lot of those hits, too ;) Congratulations! That pug is so adorable! I'd love to see you design one of the layered stamp sets that are becoming so popular. With your amazing skills, I'm sure it would be great. Congrats on the millionth hit! What a great milestone. I tried to enter that contest, but couldn't figure out how to look at your blog and take a photo at the same time from my phone. I am terribly Tech challenged! Let's see...what HAVEN'T I learned from you??! I learned about what inks, pens and water color medium work in a Journaling Bible, how to apply light and shadows when coloring, how to 'ground' a focal object, how much we both love poppies, etc., etc. Oh! And enough about colored pencils and the differences between brands, that I bought myself a set of Prismacolor's and a leather case for Christmas! Love them! I would love to see more instructions on using my new Misti. I know you use yours a lot, but I haven't yet. Remember, the tech challenged thing? Thanks for sharing your God-given talent with us. Love ya! WOW!!!! I KNEW you were popular Dina with your WEALTH of information...! ;) CONGRATULATIONS!!!! Such a super cute card!!! I always learn patients from you and lots and lots of inspiration too!! The one thing I would like to see you review is Tim Holtz Collage Medium an his brushes! For the stamp set I would love to see birds. Like an African Grey and Goffin Cockatoos and maybe even some exotic Pheasants. Like Reeves, Slivers, Red Goldens, Lady Amherst Pheasant, and maybe even the Temminck's Tragopan Pheasants. The reason I ask of these is my husband and I raise the exotic pheasantsand as for the other two types of birds. That's what is in our house. I have 1 African Grey named Bailey and then we have 2 Goffin Cockatoo's Millie and Snowball.We also raise Chickens for the eggs. I love the Touch Twin markers you use. I have a set myself and am always looking for projects that feature them. OH HAHAHAHAAHAHAHAHAHAHA....that's EXACTLY what I would've done!!! I think it would be awesome for you to design a few sets that could be used in general but could serve as a little direction for those of us wanting to start bible journaling. I want to do it, and I KNOW I could, but it makes me nervous to 'mess up' in a bible. Mostly because I can't just toss the page like I would a bad card LOL Sort of a motivational set...you have a picture and maybe some sentiment that I'll take to use along with the passage for that day. An encouragement, maybe, with a stamp that is easy to color and make pretty and that would fit...Sigh...will you just read my mind, please??? ;) I can't find the dang words!!!! But at the end of the day, no matter what, I've learned lots about technique from you...but I've also found you to be an inspiration in using our talents in praise. I didn't think something like that could be done. But sister, you 'done' it! Ty, Dina. For someone who says she's quiet, you sure have a big 'voice'-your art and willingness to share fills up a lot of empty, unmotivated space for a lot of us. Much love!! One answer might be to buy a secondhand one or an older one, one that you don't have a lot of your notes in that you wouldn't be quite so connected to, although I get it, it's about not messing up any bible. But I do think it's a great tool for learning more in the bible, and THAT is what it's all about. I hope you don't mind that I replied, just read what you said and it was so like what I've felt too, even though I've LOVED what I've seen Dina do herself. Blessings to you, I will pray for you today that God will bless you and that whatever challenges you are facing (we are all facing challenges, it's part of being human, I think), that God will help and make them less challenging for you. Your note I know will be such a kind encouragement to Dina, and that's what we should all be doing for our sisters in Christ, and YOU just did that. Blessings, sister and thanks for your sweet, kind note!!! BTW, your pug is adorable! I'd love to see a music-themed, faith-based stamp set. Love your designs! CONGRATS on the millionth hit. i love to see what you come up with on your blog. i enjoy it very much! Oh how funny....I think anyone would do the same thing under the circumstances, so CONGRATS and be happy - we all got a chuckle out of it! Thank you Dina for all you demonstrate and have taught me....much appreciated. I would be excited to see you design something oriental. Congrats on reaching 1,000,000! I have heard about the new Tim Holtz crayons and can't wait to see what you do with them! Congrats - no mater how you got there, it counts! From your examples on Splitcoast, I've learned how to look at a technique or card and change it to fit my supplies/style. Thank you for sharing so much of yourself! You deserve to win! You give us so many good ideas, tips and inspirations. I'd love to see you do a multiple stamp set with these pugs. My BF raises show winning pugs and she'd love cards with puggies on them, as would I. This card is so cute. I would love to see a German Shepard set. I would like to see your opinion on the new distress crayons. Congrats! Love all your tutorials but the Pencil resist is fun to do.I would like to see something similar with the new Distress Crayons. I <3 your reviews, stamp designs and lately I have been returning to see your posts on Bible journaling and the progress of your artwork/prints. I would love to see a review of the new Winsor and Newton Pigment markers that are blendable (marketed against Copic markers, etc.) AND more dry mediums for bible journaling that you would recommend. Congratulations on 1 million. Your pug is adorable. I have learned many things on your blog. Mostly what I wish I could do. I am amazed by your vast talents. I love your water coloring and it is something I really want to become better at. I have just gotten interested in Bible journaling and would love to see your ideas and stamps in that direction. CONGRATULATIONS at reaching a million!!! Thank you for all you teach me and so many, Dina! Personally, I long to be able to color better, and to really UNDERSTAND light direction and shading and highlights, and would appreciate lots of coloring tutorials using various coloring mediums, I am keen to learn to use them all. I love flowers especially, my all-time favorite, but also love leaves and trees, other forms of nature, but flowers are it for me, followed by leaves. I am excited to see what you do in 2016, thank you for letting His light shine so brightly through you! What an encouragement that is for all of us who are His!!! I'm hoping to start my own blog this year, I'd appreciate advice on how to do this! Thank you so much for the prize you are offering, I know whoever wins it will be blessed! YOU are amazing, you have used your talent in such a kind and unselfish way to teach us so much, PLEASE keep the tutorials coming, especially for coloring!!! You are THE BEST teaching concepts on light and shading I don't find anywhere else and I need this information and more, and how I appreciate this, Dina!!! Congrats Dina! A thin diagonal stripes background stamp would be great! Congrats on 1,000,000 hits! That's phenomenal! I feel like I learn things from your posts all the time. Now that you've done a dog, how about a cat for us crazy cat ladies (and gents!)? 1. I have learned a lot about layout design from you. 2. I would like you to review Ken Oliver's New Watercolor papers.3. I would like you to design 2 stamps with matching dies that says Happy Mother's Day and Happy Father's Day. The thing that needs to be unique about these would be that the apostrophe is attached. Congratulations on your wonderful milestone. I would love to see what you think about the new Distress crayons. I've only seen the video of Tim Holtz demo-Inga them at CHA. I'd like to know if I "need" them to add to my Distress collection! Cute card. I have learned many creative ways of making cards. I would like you to review watercolor paper. I am part of a church card ministry and would like stamp sets with matching inside sentiments. Congratulations on your millionth hit! I've learned that you have an extraordinary artistic talent and are kind and generous to share your talent. I think one of the most interesting things I learned on your blog bible journaling, that is pretty cool. For the future just keep the good stuff coming. Congrats on 1 Million, that's Awesome! I'd probably like to see you play with the Tim Holtz water color crayons. Thanks for all of the amazing things you share here. Love your pug! It brought back some neat memories from babyhood and my Nanny's pug. I'm pretty new here, but have enjoyed whatever you shared since I found you. I'm crazy about floral layering stamps. I don't know if it would be possible, but since the layering stamps are so popular I'd love to see a set of fall leaves, especially maple and oak leaves. Seems like the layering would make it possible for those of us who are not so artists to achieve a gorgeous multi-color look for our fall leaves. Fall cards are my favorite to make so I'll have my fingers crossed for something like this. I included these in my Fall/Winter release - thank you for the suggestion!